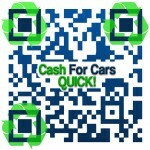 Contact Us | Cash for Cars Quick Corp. Call our expert buyers and receive an instant quote for your used car or truck. Our cash for cars company stands by our pricing and guarantee our quotes, so give us a call and turn your car into cash.